Back at a time when portable music means having to bring with you a rather bulky contraption like a cassette radio, portable music back then was not only physically taxing to do but also inconvenient, especially when looked at the present standards. 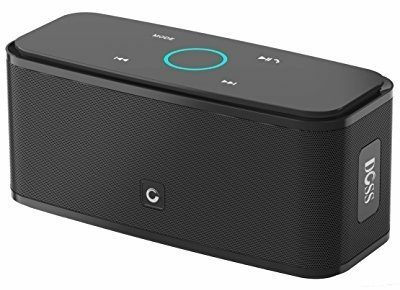 Now there are such things as portable speakers which are small and lightweight enough to be carried at the palm of an adult’s hand while also employing features that are deemed nifty by the average user. Engineered and developed by a seasoned and industry-trusted brand, Cambridge SoundWorks, the OontZ Angle 3 portable Bluetooth speaker is an electronic device that is packed full of cutting edge features which defines the modern era from the previous. 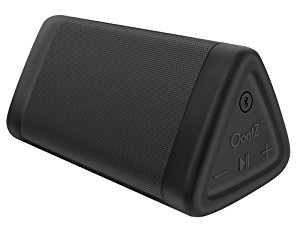 Common to many portable speakers of its kind, the OontZ Angle 3 is almost free from the hazards of water spills and soaks, utilizes Bluetooth 4.0 technology for low-energy and easy connectivity to other devices, as well as a built-in microphone for making and receiving calls when paired with a smartphone. 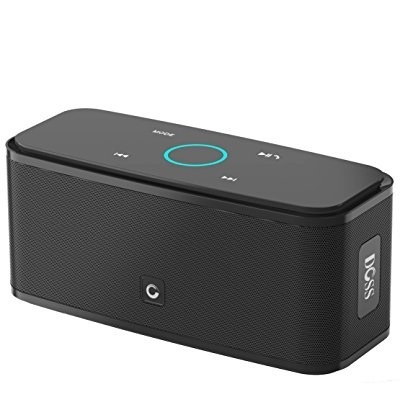 Made by a manufacturing company of 17 solid years of experience in the audio industry, DOSS’s multi-national team (United States, Canada, and Germany) are a vanguard of audio technological up-to-dateness as is demonstrated with the SoundBox Touch Bluetooth speaker. While many users would choose to use this amazing device as part of the appliances at home, the SoundBox Touch is also made for outdoor use with features such as being water resistant, long-range connectivity, and long battery usage. A company developed as a brainchild by a group of friends and former Google employees in 2009, Anker is a relatively young entry in the technology industry but has easily gained traction for it to become a leader in its field. 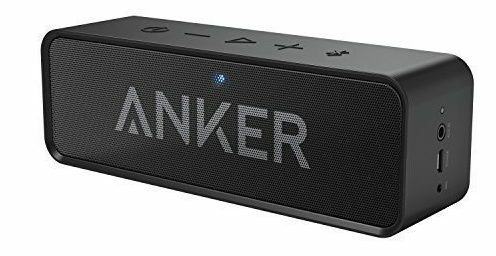 Known for its wide variety of mobile technology, the Anker SoundCore stood out from the competition thanks to its modern features that show superiority from the rest. 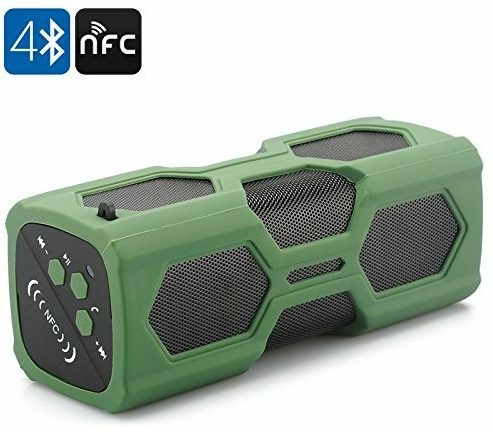 Living an active lifestyle while loving music did not come as simple and convenient as having able to let you carry a device that goes with you, rain or shine—a rugged and waterproof portable speaker. 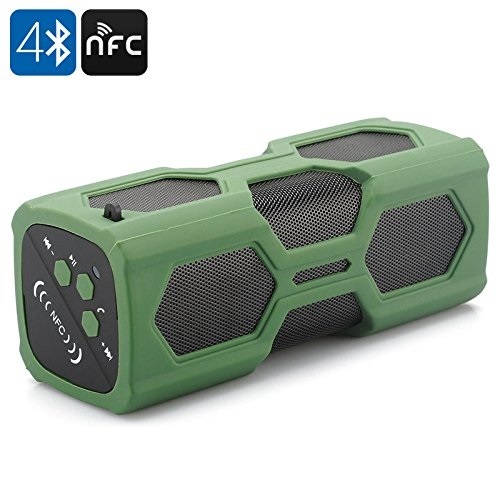 If you are the type of consumer who does not care about the branding but more on the quality of your purchase, the Rocktech Waterproof Sport portable speaker is likely for you. 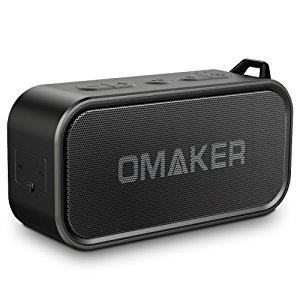 Not meant to impress but to deliver on users’ demand for quality sound experience and other convenient features from a mobile device, all while being outdoors, the Omaker M6 portable Bluetooth speaker is any traveler’s trusty sounds or musical companion. With the market slowly getting saturated by portable speakers coming from various brands—both old and new alike—finding the best of this kind of device can be a tricky business without the right research. With the commonality on all products in the list identified and highlighted—each of which are the products strengths—finding the best portable speaker for yourself is just a matter of taste in design and, probably, the budget. If these speakers don’t make you satisfy then refer to some soundbars to get more experience for music.